This is definitely opulent. Heated stone floors, steam shower - I could spend all day. 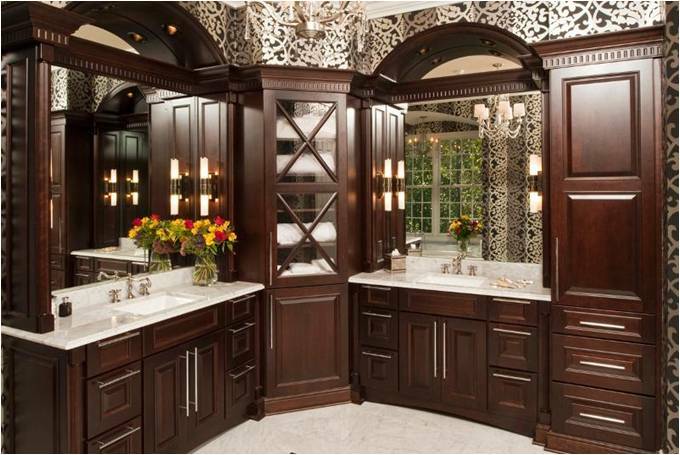 Without needing to travel abroad, homeowners still can relax in a European-inspired bathroom. All it takes is the addition of more ornate fixtures that combine timeless elegance with modern luxury. There are many plumbing fixtures that can make a big statement in a bathroom like this - that is never part of a bath design that should be overlooked. Your bath design looks wonderful, thank you very much for sharing this idea. I'll be sure to pattern mine from yours.